Rebecca Zung, Esq. and Susan Guthrie, Esq. speak with celebrity trainer and nutritionist, Jennifer Giamo on Breaking Free: A Modern Divorce Podcast. STRESSED OUT? FEELING HOPELESS? NEED HELP HEALING FROM YOUR DIVORCE? Celebrity trainer to the stars, Jennifer Giamo, knows your pain. Just a few years ago, her divorce left her finding it hard to just get out of bed. Even as a fitness and nutrition expert, she couldn't move past the pain. Her experience led her to create the FRESH START FITNESS Program, in conjunction with Worthy.com, which incorporates yoga, meditation, exercise and nutrition to help people to heal from divorce. In this episode, Susan and Rebecca talk with Jennifer about the FFF Program and her journey to heal from her divorce including a surfing and yoga retreat, her visits with her Shaman and even a rundown on what a nutritionist to the stars eats for breakfast! Susan and Rebecca share tips from their own journeys through divorce and difficult times as well as stories from their many years as divorce attorneys. This episode will give you the hope that you are seeking and will help you get started on your journey to THRIVE and SHINE after divorce! To find out more about Jennifer and her personal training and nutrition services visit her website www.trainersintransit.com where you can also find the FREE Fresh Start Fitness Program! The FFF Program can also be accessed through Worthy’s website at www.Worthy.com. SPECIAL OFFER: To take advantage of Jennifer’s special offer of 25% OFF the first THREE MONTHS of her year-long online nutrition program you can email her at jennifer@trainersintransit.com – Be sure to mention that you heard her on the Show! Rachel’s Overnight Oats, mentioned by Rebecca on this episode, can be purchased on Amazon. Rebecca Zung, Esq. and Susan Guthrie, Esq. discuss the top warning signs of a marriage in trouble. As long-time divorce attorneys, Susan and Rebecca have seen all kinds of warning signs that a marriage is in trouble. From hidden bank accounts to secret cell phones, there are a million stories and they share several of them with you here – see if anything sounds familiar! DON'T BE BLINDSIDED - this is your chance to find out what the top danger signs are so that you can work on the issues or be prepared for what the future holds. Rebecca Zung, Esq. and Susan Guthrie, Esq. discuss co-parenting in the modern age with the creator of the FAYR parenting app, Michael Daniels on Breaking Free: A Modern Divorce Podcast. It Can Be SO HARD! 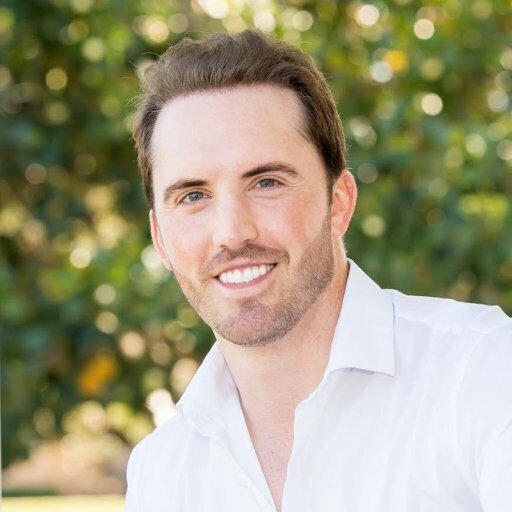 Co-Parenting with your ex can be very complicated and fraught with conflict but Michael Daniels, a divorced father of two himself, has created the FAYR app to simplify it all for you! What is complex and difficult is streamlined into one app on your phone that keeps everything in one place and keeps it easy. Created out of his own experience as a co-parent, the FAYR app is the insider secret to SEAMLESS CO-PARENTING. Find out why Gwyneth Paltrow is such a fan that she has partnered with Michael to support the app - it's a great story so don't miss this episode! As a SPECIAL OFFER TO OUR LISTENERS: Michael is offering 20% off Membership prices with the use of the promotional code “BRKFREE!”. This includes all membership options, but the LIFETIME MEMBERSHIP option will only be available through December 31, 2018 - so act fast! Visit www.FAYR.com to find out more and to sign up today! Rebecca Zung, Esq. and Susan Guthrie, Esq. 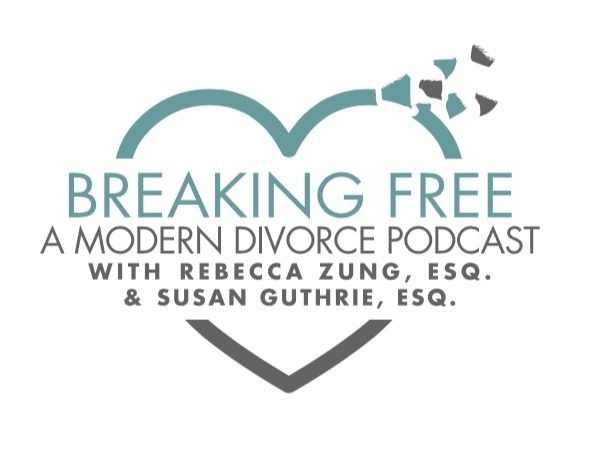 discuss divorce issues around the holidays and solutions to help you to avoid the Nightmare Before Christmas on Breaking Free: A Modern Divorce Podcast #120. GETTING DIVORCED? ALONE FOR THE HOLIDAYS? MISSING YOUR KIDS? The happiest time of year can also be the most stressful and upsetting time of year when you are going through a divorce or separation. The holidays are a time of family, friends, joy and celebration but when you end a relationship, things can get very complicated and emotions can run high. In this episode, Susan and Rebecca discuss issues like being alone during the holidays, sharing your kids with your ex and why January is "Divorce Month" and let you in on some ways to still make the holidays merry from their many years as divorce attorneys. Whether its figuring out how to share your time with the kids on Christmas morning or how to go through your first holiday without your ex, these tips and insights can help you to have a holly, jolly holiday – despite your divorce! To learn more about FAYR, the premier co-parenting app discussed by Rebecca and Susan in this episode visit www.FAYR.com. To find our more about WORTHY and the many divorce resources it offers, including a platform for re-selling your engagement ring and other jewelry, visit www.Worthy.com.